Every year, nearly twenty-five thousand kids suffer injuries from automobile accidents while traveling between home and school. The majority of these accidents are caused by negligent driving or violation of the traffic rules for safe driving in school zones. For example, traffic laws mandate that every motorist drive the posted speed limit for a school zone and yield to school buses with flashing stop signs and/or an extended stop arm. However, some drivers do not follow these safety rules because of distracted driving. Driver distraction in a school zone is common in one out of every six drivers. 19 percent of female motorists are distracted while driving in a school zone, compared to 15 percent of male motorists. Around 9.8 percent of motorists use some kind of mobile device while driving in a school zone. Around 4.4 percent of motorists drink, eat, and/or smoke while driving in a school zone. Looking behind or reaching for an item inside the vehicle is a leading cause of driver distraction in school zones. Around 1.9 percent of the drivers make this mistake. Applying makeup or personal grooming distract 9 in every 1,000 motorists driving through a school zone. Reading while driving distracts 3 in every 1,000 motorists while driving through a school zone. Flashing lights help reduce drivers’ distraction in school zones. Driver distraction is more common in congested school zones. 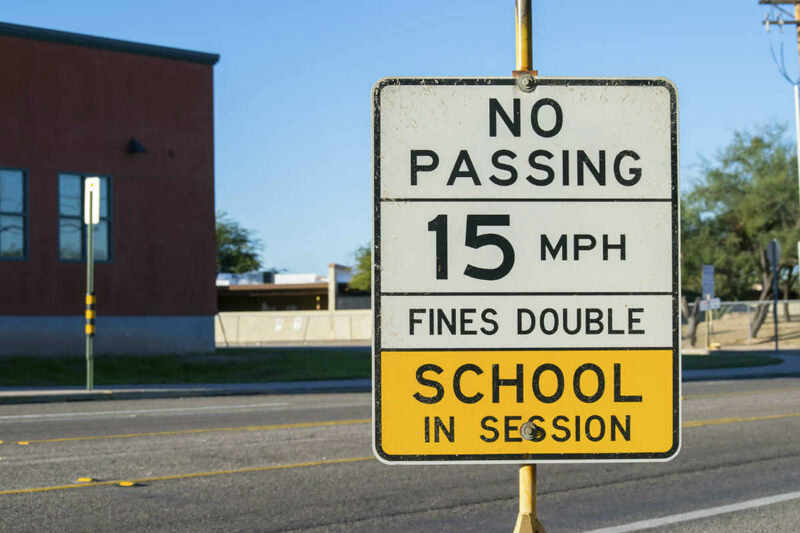 When a driver passes through a school zone without putting his or her full attention behind the wheel, the lives of others, especially children, are put at risk. While traffic laws require every driver to give the right-of-way to a school bus, some drivers simply do not follow the rule. The above statistics available from a report by Safe Kids USA show how important it is to avoid driver distraction. When driving through a school zone, be cautious and alert. Unfortunately, despite taking all precautions, you may still be involved in a road accident. Speak to a St. Louis car crash lawyer to understand your legal rights. Call The Hoffmann Law Firm, L.L.C. at (314) 361-4242.